Ranking in the top 2% of universities worldwide, Griffith University has more than 44,000 students and offers a full suite of undergraduate, postgraduate and research degrees in the areas of business and government, criminology and law, education, engineering and information technology, environment, planning and architecture, health, humanities and languages, music, science and aviation, and visual and creative arts. SWOOP is designed to analyse and report on all relationships that are formed through enterprise social networks like Yammer. SWOOP Analytics allows each user to identify who is talking with whom, spot influential people and hot topics, recognise the best performing groups, track sentiment on posts and show what time of day people are collaborating. New research at Griffith has revealed a direct correlation between student activities on enterprise social networks (ESN) and their academic grades. The study examined the habits of online postgraduate students and how they engaged with Microsoft’s Yammer network to share ideas and collaborate with other students and academic staff. 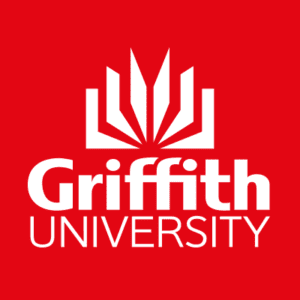 Professor Nick Barter, Academic Director of Griffith Online, looked at SWOOP Analytics data focusing on three Yammer groups and the activities of 222 students at Griffith University. Each individual was attributed with one of five online personas as a result of their engagement activities. Engagers – Engagers are the engine room for collaboration networks. They connect and sustain relationships. The higher the number of engagers in an organisation the better. Catalysts – Catalysts energise the network by attracting responses. They seed lots of conversations that lead to a lot of replies and likes. Responders – Responders prefer to react to conversation rather than initiating them. They will often reply or ‘like’. Broadcaster – The Broadcaster persona is self evident, as someone who sends messages but does not engage much with the groups and communities. Observer – The Observer is someone who consumes some of the content from the system but as they do not actively participate in the interactions they are unlikely to be creating organisational value. SWOOP Chief Executive Cai Kjaer said the findings show the value of interacting on Yammer. The results are very clear and show that the number of ‘Engagers’ increases in an almost straight line with higher grades."